This reed is hand-made and is suitable for beginners. It has a pleasant tone, stable pitch, and is very free-blowing. Available in MS, M, or MH. 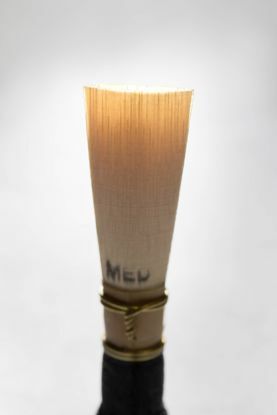 This reed is hand-made and is suitable for beginning and intermediate players. It has an agreeable tone, easy response, and consistent pitch. Available in MS, M, or MH. 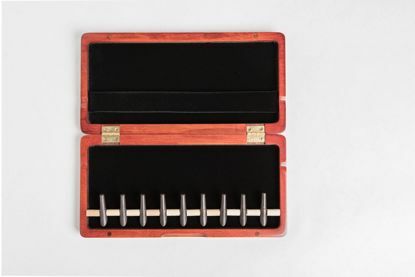 Plastic Reed Case made by Fox, holds 4 reeds with plastic mandrels. 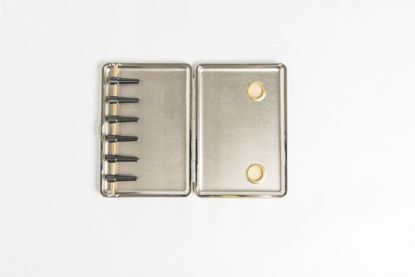 Measures 4" x 3 1/4" x 3/4". 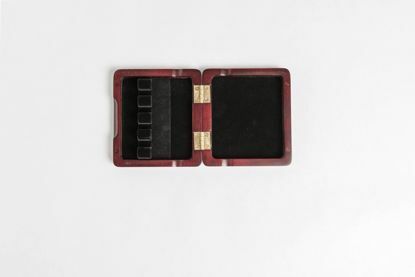 Leather-covered cigarette reed case, 5" x 3 1/2" x5/8", has six plastic mandrel pegs and two 5/8" screened ventilation holes. Choose from a beautiful red or black exterior color. 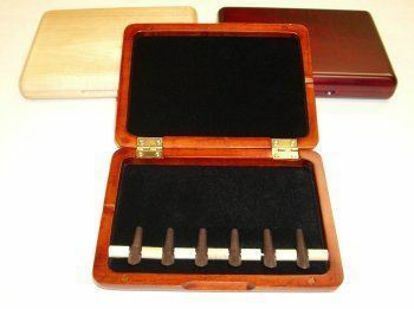 Wood bassoon reed case for 4 reeds and holds reeds in French style--3 1/2 x 3 1/2 x 3/4"
Dark wood bassoon reed case for 6 reeds with plastic pegs-- 5 1/4 x 4 x 3/4"
Wood bassoon reed case for 9 reeds--7 3/4 x 4 x 7/8" - 9 plastic pegs hold reeds. 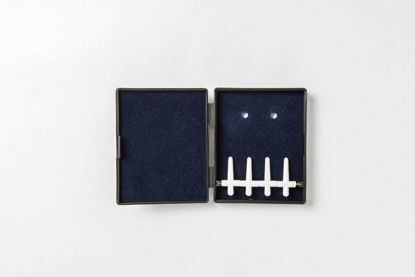 Currently available in dark wood only.